Healthcare Marketing: Traditional Marketing Dead? 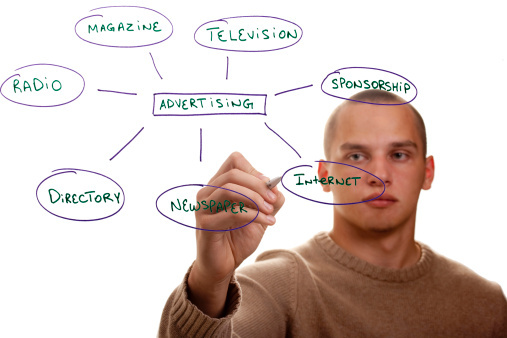 Many pundits are declaring the demise and even death of traditional advertising. They are premature. They are wrong. Lee gives three pieces of evidence for the death of marketing. First, buyers are no longer paying much attention. Several studies have confirmed that in the “buyer’s decision journey,” traditional marketing communications just aren’t relevant. Second, CEOs have lost all patience. In a devastating 2011 study of 600 CEOs and decision makers by the London-based Fournaise Marketing Group, 73% of them said that CMOs lack business credibility and the ability to generate sufficient business growth. Third, in today’s increasingly social media-infused environment, traditional marketing and sales not only doesn’t work so well, it doesn’t make sense. In fact, this last is a bit of a red herring, because traditional marketing isn’t really working anywhere. There are others who have made similar predictions. But I will say, it’s not true! True, marketing is changing. True, social media and relationship marketing is playing a more significant role in the marketing process. And true, consumers have more control and more power. But none of that means traditional marketing is dead. I could go on and on and on with success stories of brands that are effective using traditional marketing. Traditional marketing is still such a dominant and influential force in our culture. Brands are being made and enhanced everyday using traditional marketing methods. On a personal level, our agency does work every day using traditional marketing methods that render sales growth and increases in market share. And traditional marketing works in healthcare. Yes it’s changing. Building authentic customer relationships is of supreme importance. And healthcare marketers must always be open to change. They must be willing to experiment with new strategies. But it’s not time to abandon traditional strategies and tactics. And for those who say marketing is dead, aren’t looking in the same places I am.